Hey folks, it’s Friday so it’s time again for “Behind The Wrench”. Today we have Joe, a true VW nut, car enthusiast, and all around cool guy. You can really tell from this interview, just how much Joe lives and breathes this industry. I work at a dealer (Volkswagen) never had a chance to be at a independent shop…as preferring one or the other I can’t say, some say avoid the “stealership” at all costs but I must say that there is ALOT of dubs that show up on a hook(towed in) because “indy’s” don’t have the tech or the techs to solve an issue, at the same time there is a lot of good shops that know what they are doing, do the research VIA the web or word of mouth and find out what works for you and your vehicle. I drive a Porcelain blue 98 Volkswagen GTI, also have a 2012 golf and a 2000 Cabrio, the list would go on for pages if it were a perfect world!!!!! My first car was a 96 Volkswagen Jetta…I never drove it because we couldn’t get the title from the seller….so a 96 Ford Ranger was the first vehicle I legally drove…not the coolest car a high school-er could drive but I made the best of it!!! 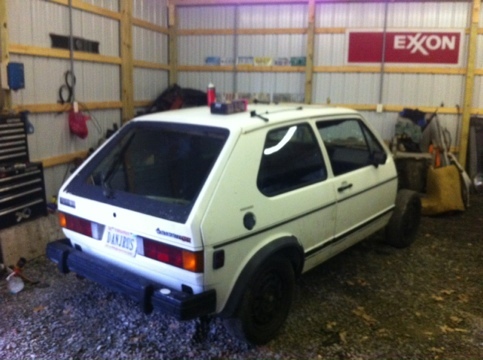 This question is one of those unanswerable questions….I don’t know what made me choose this path, my parents are not “car” people, my friends were not “car” people….just kinda happened..all I know is that the love for Volkswagens came out of it!!!!! The one thing that I would never do again at work is…not make the best of your time while you are there…getting into a “slump” or “rut” can effect you and your fellow techs/writers…you just need to make the best of it and be thankful we have a weekly paycheck!! Without the auto repair industry, the world of transportation from golf carts to cruise liners would cease. I am proud to say and do the best I can to help out the customer which ever way I can…with that out of the way the dealership especially gets a bad rap for being nicknamed the “stealership” for having outrageous fees and hourly rates that may be higher than the average shop…I think that you get what you pay for in everything, especially for the care of your Volkswagen, I take a great deal of pride taking care the customers needs a expectations, at times I personally hand wash vehicles after a repair to show that the customers vehicle is well taken care of while here. I would love to rid the stereotype of some people about us dealer peeps and give us (or another) try in the future…. From my point of view it would be oil and filter changes…it’s the blood of the engine and needs to be in tip top condition for proper operation….yes there are plenty of other semi equal items that needs regular attention, make sure to check your owners manual for specific maintenance needs!!!! Almost as important as wearing clothes in public…it can be costly if you don’t abide by book!!! But of course!!!! Learned a lot too!!! Mk3 (93-98) VW golf 2.0 manual. That of course would be on my pay scale…but since that wasn’t the question I would have to to say a 2012 Touareg…not on my pay scale..
[slickr-flickr tag=”westmoreland” items=”5″] Well, what did I tell you! Folks, if you care about your car, THIS is the type of mechanic you want to have. Imagine, your mechanic getting as excited about your car as you are. That would be really cool. I want to thank Joe for doing such an awesome interview. 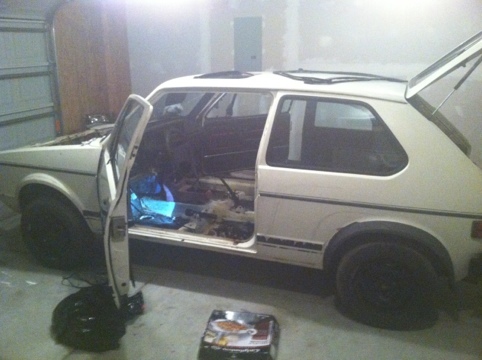 I will be sure to keep everyone posted on this GTI progress. If you or someone you know would like to be featured in an interview like this, just contact me! I hope everyone has a great weekend! Don’t forget to sign up for email updates, I am still working with my buddy(the one that did the header) on doing some work with the site. There will most likely be something special coming when the new site launches, and the folks signed up will get a first dibs! Hey folks, one thing I totally forgot to add, If you have any question you want me to add to these interviews, go ahead and post them here in the comments!!!!! and it doesnt just have to be the group, it can be individual cars such as Golf R, Bettle R, and different years such as 84′ GTI vs. 2004 GTI. I would have to say the 2004 r32 as an all time favorite, just something about an all wheel drive vr6, especially the exhaust note those cars have!!! 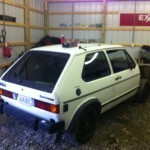 I’m also a big fan of the Westmoreland built GTI (83-84) I have one I’m restoring and it’s been quite a thrill!!! agreed, that 2004 is a monster! I totally agree! I think VW hit home runs with that R32, and that years GLI.